We feel very strongly about the quality of our dry rubs but also realize we will not please everybody. 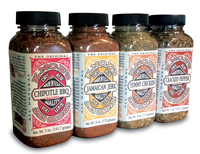 If you are not satisfied with our dry rub seasonings allow us to satisfy you with our outstanding customer service. We are a very small company and know how you feel. Buying something over the internet is always a bit risky. Parting with your hard earned money for a product you can not touch until you have paid for it always leaves a bit of doubt in your mind. At Knox's Spice Co. we make it simple to make your purchase from us risk free. If you aren't completely satisfied with your dry rub seasonings for any reason, simply contact us by phone or e-mail and we will gladly provide your choice of a replacement item or a full refund of your purchase price. Simple as that. We will do everything we can, within reason, to see that you are satisfied because satisfaction is more important than the sale. We are not responsible for orders not received or delayed due to mis-typed information provided by you at checkout. Please verify your address and delivery information for accuracy prior to completing your order. Refund or replacement of products is not available in the event you provide inaccurate information. 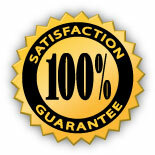 This guarantee does not apply to commercial orders. For information on our guarantee when considering ordering commercial quantities of our dry rubs, please contact our sales department.